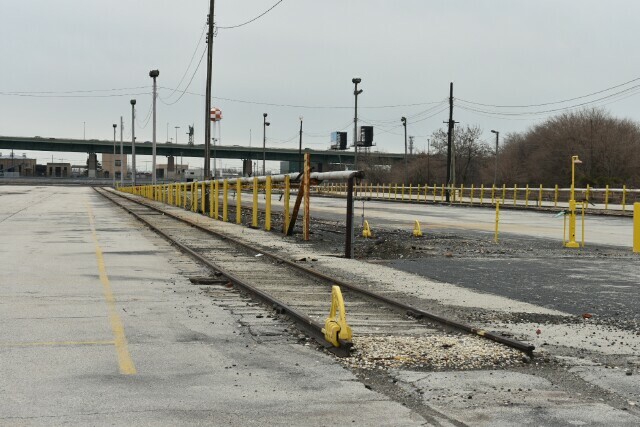 Twenty one years after they took over Conrail's Flexi-Flo operations, Savage has apparently left South Philadelphia. 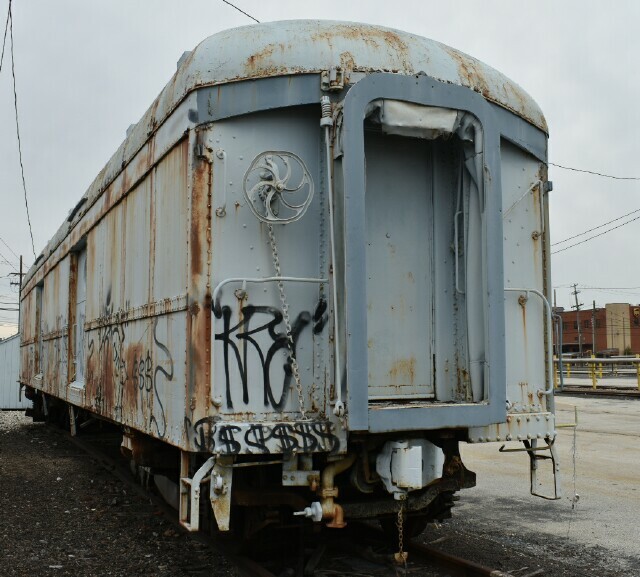 This yard was the last working home to the former PRR Rail Whale TP1 500001, where it was used for training purposes before being donated to the Railroad Museum of Pennsylvania. 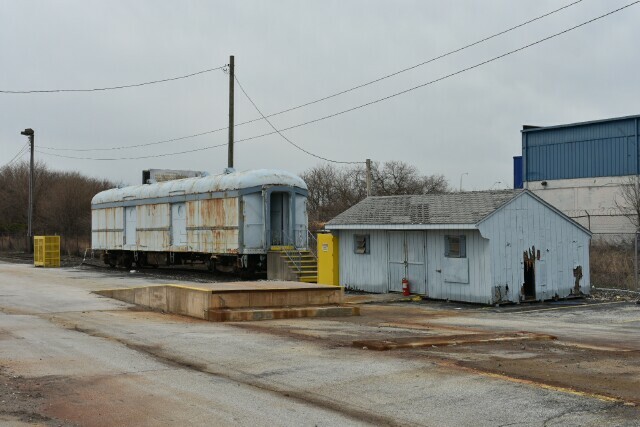 The infrastructure is still intact as well as a couple buildings and one old baggage car used for storage. 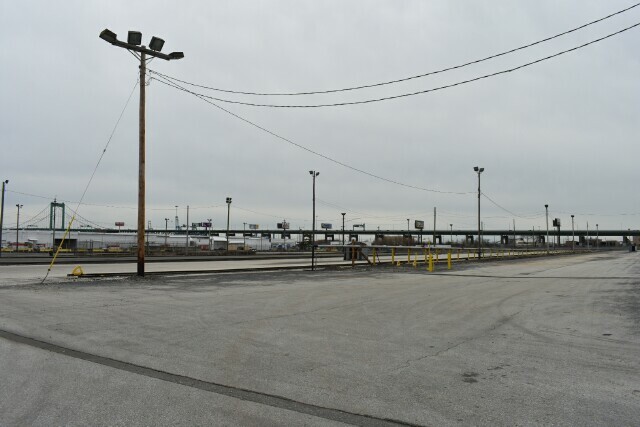 To the casual observer, it is just an old car, but to those who know, it is a relic from a once great empire. 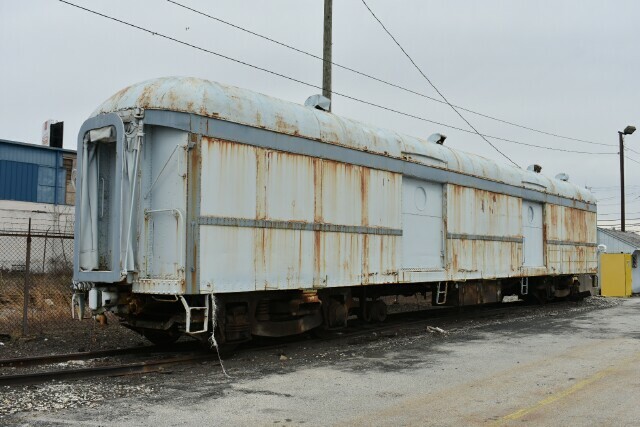 There aren't many Pennsylvania Railroad B60b baggage cars left around, and this could be one of the last former PRR cars left in its home city. 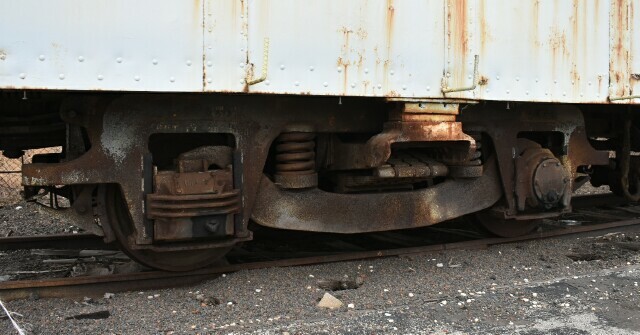 diaphragms, brake wheels, hand rails and other items.